I don’t now why (though I sorta/kinda do), but I woke up (i.e. raised my torso after a sleepless night) and had Hunter S. Thompson on my mind. If you’ve read War and Peace, the above quote might remind you of one of Tolstoy’s most famous passages from his opus (the “Love hinders death” passage). My first foray into Hunter baby’s world came with Fear and Loathing in Las Vegas. To this day, it and Philip Roth’s The Great American Novel remain the two funniest books I’ve ever read. With Thompson, the man had an ability to live in and describe the world he was a part of like nobody else. While some may brush off gonzo journalism as hack writing or immature, drug-addled creativity, I have personally never read anyone like him before or since. There was an interesting article in The Guardian a while ago titled “How to finish a novel: tracking a book’s progress from idea to completion.” It’s about a go-getter named Wyl Menmuir and an app he used called WriteTrack (now known as Prolifiko) to keep tabs on his progress/set daily goals over his journey to write – and finish! – his first novel. The original aim was to complete a 44,242-word book in 124 days. Before we go on, I have to point out a couple of things. To begin, I first wrote about a similar subject when I created a Page on this site called “Evolution of a Novel.” I described how much changes in the years (plural) it takes most authors to write a novel. I cut and paste a single paragraph, the opening to A Father’s Son, from its inception in 2006 to its completion in 2012 to its published form in 2013, and the differences between drafts is pretty staggering. Why? Because time had passed and I could go in with fresh eyes at each new stage. The fact that Tolstoy and Ondaatje each only took five years to craft War and Peace and The English Patient, respectively, is insane. Arundhati Roy, who took home the Man Booker Prize in 1997 for her debut novel The God of Small Things, will be releasing her second novel, The Ministry of Utmost Happiness, next month. In case you lost count, that’s 20 years for her follow-up work of fiction. My own second novel is scheduled to be published next spring. I began the first draft of The Immortal Flower in winter 2001. By the time it comes out, the writing/editing/publishing of that single book will represent 39% of my life. Ouch! Second, since when did a novel fall under 50,000 words? Doesn’t that get tagged as a “novella” anymore? It’s my understanding that most novels – even in today’s age of hyperconnectivity – fall in the word count range of 80,000 to 100,000 words. Than again, maybe I’m full of **** and **** because Mr. Menmuir ended up completing his novel in one year, 10 months and two days. In the grand scheme of things, I’d say that’s still pretty fast, especially for someone who’d never finished a full-length novel before. The real icing on this gravy train of literary sweetness, though? Menmuir not only finished The Many, but he got it published. Amazing. But there’s more! He not only got it published, but he was longlisted for the Man Booker Prize in 2016! I therefore say to all of you out there who’ve been sitting on an idea for a book for years: Go do it! If you need an app, download it. Otherwise, read The Guardian article I linked to above and then tell yourself, I’ve got nothing to lose and everything to gain. Set aside a single hour a day at first – even 30 minutes in the beginning – and you’ll be amazed at how quickly you may be able to impress even yourself. When you hear the words “monkey” and “hunting,” what comes to mind? Searching through forests, rifle in hand, as you keep an eye out for primates swinging from tree to tree so that you can kill them with one decisive pull on the trigger of your 12-gauge pump shotgun, blowing said Curious George to smithereens? No, no, no. Obviously you are not a monkey hunter. That is your bad. 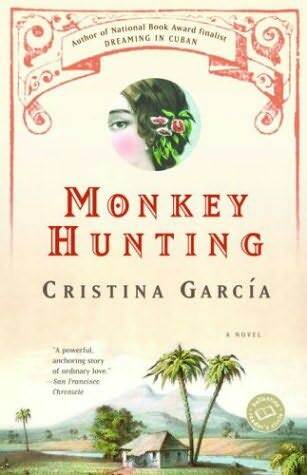 In her 2003 novel Monkey Hunting, author Cristina Garcia tells the story of four generations of a Chinese family, the patriarch being Chen Pan, a 19th-century immigrant to Cuba. In case you didn’t know, Cuba had a sizeable ethnic Chinese population until Fidel Castro came to power in 1959 and said, “Thanks for your years of service (i.e. slavery), but your mother country is beckoning (i.e. get the hell out of our country, you dirty slaves).” Today, there are still remnants of a Chinatown in Havana, I’m told, minus the ethnic Chinese people themselves. Although the novel starts on a page-turning note – we follow the struggle of Chinese immigrants to Cuba on their horrific journey across the world in much the same conditions as slaves brought to the Americas from Africa – the author soon loses the plot, literally and figuratively, and we start bouncing around the world at different periods in history, which in and of itself is always cool, but ends up being disjointed, fragmented and at times hard to follow in this particular case. More specifically, the reader is not given the opportunity to form any real bond with the characters, as they fail to evoke even the slightest amount of empathy. The general rule to a decent novel is that it’s either highly plot-driven and the characters are one-dimensional (think Dan Brown or Lee Child, for example) or very much character-driven and the plot is almost secondary (think of Fear and Loathing in Las Vegas, Eleanor & Park or The Goldfinch). Rarely do the two combine to form a work of art (think of anything from Anna Karenina to Freedom). Unfortunately, when you’re not invested in the characters and don’t really care what’s happening all around them, it’s a recipe for disaster. And this, sadly, is the case with Monkey Hunting. It’s an interesting premise with some well-researched information, but for that kind of story I generally turn to non-fiction. Or perhaps Time magazine, where – ironically enough – Ms. Garcia used to work. A Necessary Return to the Long Novel? @Borisk (Boris Kachka) over at vulture.com has come up with some rather hefty books he thinks we should all read. Entitled “26 Very Long Books Worth the Time They’ll Take to Read,” the list for me includes some obvious choices (Don Quixote, War and Peace, A Suitable Boy), some I’ve been meaning to read for years (Infinite Jest, Bleak House, The Stand), some surprises (Middlemarch [yawn], 1Q84 [The Wind-Up Bird Chronicle was a much “bigger” book, if a much smaller published work]), and some I simply have to disagree with (Life and Fate, Underworld). Still, on this day of reflection, I can’t help but wonder if our collective blasé/anti-establishment/angry mood couldn’t best be tempered by a serious sit-down with a tome heavy enough to buoy a ship in stormy weather and insightful enough to make us actually “think” (yes, it’s in quotation marks). Although my book club would draw and quarter me if I suggested it, especially after our last pick, Alejandro Zambra’s Multiple Choice (128 pages), perhaps it is time for all of us to make at least one book a year one of those tomes we’ve been promising ourselves for years we’d read. For me, that starts with what is currently on my bedside table, Rohinton Mistry’s A Fine Balance, a paltry 608 pages. I know, I know. Weak. But it’s a start. I like quotes. And, really, who doesn’t ? Bound by a cute pair of rabbit ears, a great quote can serve as a life mantra, a conversation starter, an impetus to change your life, a reason to learn more about a subject…the list is endless! 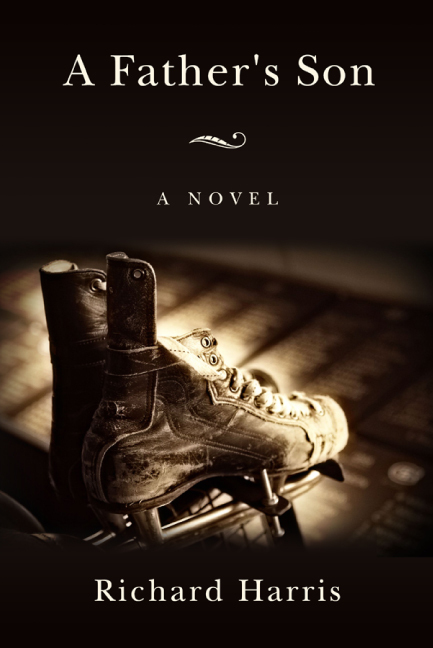 My friend and old ex-curler buddy, Stephen B., just tagged me in a Facebook Memory (didn’t even know they existed before this) and reminded me of a quote from Thornton Wilder’s The Bridge of San Luis Rey, a novel we read in our book club aeons ago. Wilder was in his own league when it came to English prose. 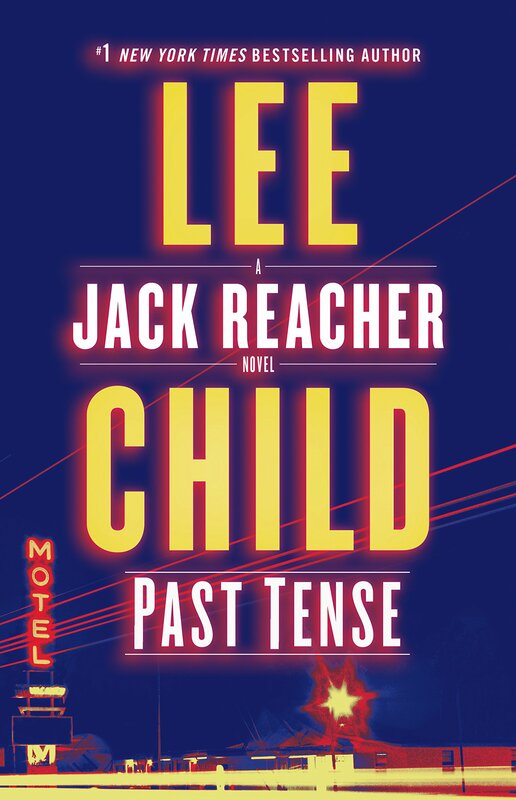 I mean, here was a guy who really knew how to string together words in a way that hits you hard, not like a nudge on the shoulder, but more a hammer to the cerebral cortex that induces a shot of heaven-borne adrenalin to your organ of fire. Soon we shall die and all memory of those five will have left earth, and we ourselves shall be loved for a while and forgotten. But the love will have been enough; all those impulses of love return to the love that made them. Even memory is not necessary for love. There is a land of the living and a land of the dead and the bridge is love, the only survival, the only meaning. Now that I’m on the subject, though, I can’t but recall two of my all-time-forever-like-totally-can’t-forget-about-them quotes on this subject. The loved object is simply one that has shared an experience at the same moment of time, narcissistically; and the desire to be near the beloved object is at first not due to the idea of possessing it, but simply to let the two experiences compare themselves, like reflections in different mirrors. All this may precede the first look, kiss, or touch; precede ambition, pride, or envy; precede the first declarations which mark the turning point—for from here love degenerates into habit, possession, and back to loneliness. We die containing a richness of lovers and tribes, tastes we have swallowed, bodies we have plunged into and swum up as if rivers of wisdom, characters we have climbed into as if trees, fears we have hidden in as if caves. I wish for all this to be marked on by body when I am dead. I believe in such cartography – to be marked by nature, not just to label ourselves on a map like the names of rich men and women on buildings. We are communal histories, communal books. We are not owned or monogamous in our taste or experience.